This week I flew to Chicago for the Illinois Solar Energy Association fund raiser. Jigar Shah delivered the keynote to 70 registrants, packed into Emmett’s Place in Palatine. I left at 9:30pm with an excited sense that Solar PV in Illinois is going to take off. Worried you can’t compete with bigger solar companies? Nothing could be further from the truth. Some of you might get bought, as the bigger players don’t know your market. And some of you will grow to be the biggest players in this market because you know and care about your communities. That does still matter. You guys have a lower cost structure than the big guys. Once you can get to 1 container/month, you’ll have the same materials cost structure, and you don’t have layers of management and overhead that the big guys do. The most profitable solar contractors in the U.S. are 1 office, usually a husband and wife team, with 2 crews. The only thing big companies have that you lack, is confidence. You charge more because you plan to do one job per month and you need that job to cover salaries and overhead for that whole month. Build a model to find out what sort of volume you need to do to install for $2.75/watt and start working toward that. You have to believe it’s possible for it to work. The biggest impediment to you making money in the solar business is the fact that you love solar so much, so you forget about the basic principles of business: you have to have more money coming in than going out. Events like this are a great reason to join ISEA, or whatever your local organization is. There’s no substitute for live networking, getting involved, and getting the inside scoop on what’s coming. The Illinois market feels like Massachusetts in 2008. With the Renewable Energy World analysis of the Solar PV Market in Massachusetts in the back of my mind, I felt like I could provide useful lessons for how to win as the industry grows. I truly think we’re going to see something great happen in Illinois in the coming years. Included in SB1652, now Public Act 097-0616, is a provision for the Illinois Commerce Commission (ICC) to develop certification standards for solar PV and EV charging station installers. Rulemaking on docket 12-0212 begins today. The ISEA is intervening and will participate in this process. ELPC and IBEW are also intervening. After watching this video you will want to get solar for yourself. Attend Solar Social (its FREE) on April 28th at Freedom Field in Rockford to learn how you can! Solar road trip through Ohio, Indiana, Illinois, Michigan, and Ohio demonstrating solar working in the Midwest. The Illinois Power Authority (IPA) is hosting a second workshop so that it may effectively include a distributed generation REC component, compliant with PA 097-0616, in its next Procurement Plan for 2013. Presenting will be Brad Klein of the Environmental Law and Policy Center, who along with Paul Neilan (energy lawyer) and Thomas Russell (of ComEd) have volunteered to help lead our discussion. Here’s a cool time lapse look at 42 tons of galvanized steel being delivered and installed Sunday, Feb 19th to the Avenue Garage in Oak Park as part of a 390 panel PV project awarded to Solar Service in a design bid competition last fall. Next week we attach our panel racking to this support structure and hope to complete the project a couple weeks later. The solar array on the parking garage will generate sufficient electricity not only to power the electrical needs of the garage, but also generate surplus power that can be sold back to the electric grid. Community Energy, a leading national wind and solar energy marketer, is seeking energetic self-starters with a passion for promoting clean energy in and around the Chicagoland area. Promote clean, homegrown renewable energy and make a difference by signing up new residential customers for the 100% Illinois Wind and Solar Option. This is a community-oriented, grassroots effort and lots of fun. Public Act 097-0616_Senate Bill 1652 (page 9 line 19) stipulates that at least .5% of the Illinois Renewable Portfolio Standard (RPS) in 2013 shall come from distributed renewable energy generation, .75% by 2014, and 1% by 2015. Half of the distributed generation requirement shall come from systems 25 kW or smaller. Table illustrating the Illinois RPS and the percentage to come from Distributed Generation. The Illinois Power Authority (IPA) is hosting workshops to assist with the development of a distributed generation renewable resource procurement plan for 2013. Please take the time to attend the workshop in person to show that there is a solar and small wind community in Illinois that will be greatly impacted by the results of this workshop process. It is important to voice your comments for the record. In the first meeting the IPA would like to ensure that participants are all fully informed of the necessary criteria for the program and to start the discussion. In a second meeting participants will be welcome to present suggestions for how to deal with open items. A third meeting, if necessary, will serve as a summary meeting. Property Assessed Clean Energy (PACE) is a bipartisan local government initiative that allows property owners to finance energy efficiency and renewable energy projects for their homes and commercial buildings. Interested property owners opt‐in to receive financing for improvements that is repaid through an assessment on their property taxes for up to 20 years. 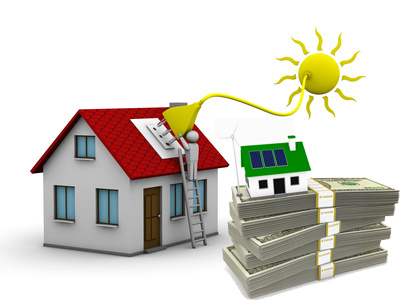 PACE financing spreads the cost of energy improvements such as weather sealing, insulation, energy efficient boilers and cooling systems, new windows, and solar installations over the expected life of the measures and allows for the repayment obligation to transfer automatically to the next property owner if the property is sold. Creates badly needed local jobs. Uses private capital, not taxes or government subsidies. Saves money for building owners and increases property values. Is voluntary – not a government mandate. Promotes energy security without driving up energy costs. Avoids the need to build costly new power plants. PACE programs were up and running in several states with 27 others passing enabling legislation, but then the Federal Housing Finance Authority (FHFA) issued a July 6, 2010 statement prohibiting Fannie Mae, Freddie Mac, and other governmental sponsored enterprises that it regulates from buying residential mortgages with PACE assessments. The United States District Court in Oakland, CA found that FHFA violated the Federal Administrative Procedures ACT when it issued its statement. FHFA Rulemaking is underway with a 60 day Comment Period beginning January 26, 2012 to March 26, 2012. To learn more about this topic and how to make a comment, click here to go to PACENow. Read about Babylon's Long Island Green Homes PACE Program. Consistent appraisals of homes and businesses outfitted with photovoltaic (PV) installations are a real challenge for the nation's real estate industry, but a new tool developed by Sandia National Laboratories and Solar Power Electric™ and licensed by Sandia addresses that issue. Sandia scientists, in partnership with Jamie Johnson of Solar Power Electric™, have developed PV Value™, an electronic form to standardize appraisals. Funded by the Department of Energy's Office of Energy Efficiency and Renewable Energy, the tool will provide appraisers, real estate agents and mortgage underwriters with more accurate values for PV systems. "Previous methods for appraising PV installations on new or existing construction have been challenging because they were not using standard appraisal practices," said Geoff Klise, the Sandia researcher who co-developed the tool. "Typically, appraisers develop the value of a property improvement based on comparable properties with similar improvements as well as prevailing market conditions. If there aren't PV systems nearby, there is no way to make an improvement comparison. When a PV system is undervalued or not valued at all, it essentially ignores the value of the electricity being produced and the potential savings over the lifetime of the system. By developing a standard methodology for appraisers when comparables are not available, homeowners will have more incentive to install PV systems, even if they consider moving a few years after system installation." The tool uses an Excel spreadsheet, tied to real-time lending information and market fluctuations, to determine the worth of a PV system. An appraiser enters such variables as the ZIP code where the system is located, the system size in watts, the derate factor -- which takes into account shading and other factors that affect a system's output -- tracking, tilt and azimuth, along with a few other factors, and the spreadsheet returns the value of the system as a function of a pre-determined risk spread. The solar resource calculation in the spreadsheet is based on the PVWatts™ simulator developed by the National Renewable Energy Laboratory, which allows the spreadsheet to value a PV system anywhere in the U.S.
"With PV Value™, appraisers can quickly calculate the present value of energy that a PV system can be estimated to produce during its remaining useful lifetime, similar to the appraisal industry's income approach," said Johnson. "Additionally, a property owner thinking about installing PV can now estimate the remaining present value of energy for their future PV system and what it could be worth to a purchaser of their property at any point in time in the event a sale of the property takes place before the estimated payback date is reached." The tool is being embraced by the Appraisal Institute, which is the nation's largest professional association of real estate appraisers. "From my perspective as an appraiser, I see that this is a great tool to assist the appraiser in valuations, and it connects to the Appraisal Institute's recent Residential Green and Energy Efficient Addendum. It's an easy, user-friendly spreadsheet that will not bog the appraiser down with a lot of extra time in calculations, and if they fill out the addenda properly, they'll be able to make the inputs and come up with some numbers fairly quickly," said Sandy Adomatis, SRA, a real estate appraiser and member of the Appraisal Institute. Solar Power Electric™ located in Port Charlotte, Fla., is an electrical contracting and solar integration company specializing in the installation of commercial and residential photovoltaic systems. Founded in 2008, this solar developer focuses on commercial solar projects between 200KW – 5MW+. This position is based in Chicago. They have secured strategic investors from some of the largest organizations in the country (including retail, health care, and real estate companies), and are bracing for an additional surge in commercial scale project installations. This company has developed a proprietary, non-penetrating roof mount system which gives them an advantage over the competition regarding the logistics of installing a solar system. Quicker & easier installations = a winning competitive formula. This is a progressive company that seeks fast thinkers with an independent attitude and an entrepreneurial mindset. If you want to get your foot in the door of the solar industry, this is a great place to start. We are currently seeking a System’s Engineer for our Chicago office in a full-time employment position, for immediate hire. Create detailed electrical designs of PV systems and layouts. Contact Bryan Villano, Bryan@TheCCEA.org with a resume and a short description of why this job would be good for you. He has a short attention span, so please keep that in mind.